Canada is a representative democracy with principles of government based on those in Great Britain. British political ideas first came to Canada in the colonial period. These ideas became the basis of government when Canada became an independent country, although some have been adapted to unique Canadian circumstances. Great Britain has two houses of parliament, similar to the House of Commons and the Senate in Canada. The Queen of England is also the Queen of Canada. However, the role of the Crown is mostly ceremonial and symbolic. The Governor General represents the monarch in Canada and is responsible giving Royal Assent to government legislation. 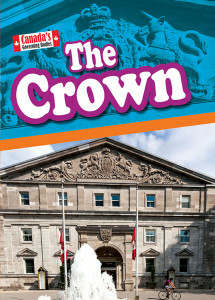 The Crown is part of the Canada’s Governing Bodies series from Weigl Publishers. Each title features informative text, colorful photographs, charts, maps, and timelines.